Our Healing Cream has proven to be one of the most versatile products to be used on cuts, scrapes, burns, eczema, psoriasis, topical allergies, rashes and a selection of other skin complaints and problems. Our Healing Cream must be one of our most popular products, which is bought over-and-over again by people who have discovered the amazing properties of this cream. Healing cream is made in a base of soy and olive milk, with all the added herbal and botanical extracts listed below and is an easy-to-apply cream, which is easily absorbed by the skin, leaving no residue or tackiness. Our Healing Cream is a great cream to have around the house and office for those small emergencies that seem to happen all the time, and a very good treatment cream for a variety of skin ailments. It is a sad truth, but people normally only turn to this cream after all else has failed – and then become fanatical believers. It would cut out so much time, cost and pain, if people immediately got this remarkable Healing Cream to help them on the road to recovery. Our Herbal Healing Cream has an unique and extraordinary formula, in which a blend of various pure herbs and natural ingredients are combined to create this remarkable product. It contains the following herbs and natural ingredients: aloe, birch sap, calendula, centella, chickweed, horsetail, marshmallow, MSM, olive leaf extract, rosehip, soy, tea tree oil and white lily. It has many beneficial effects on the skin, and in particular skin that has been exposed to injury, UV radiation, suffered from cuts, nicks, burns and wounds. It is used for reducing inflammation as well as pain. The positive effect that aloe has on the skin should be attributed to the combined extract, as it is the synergetic effect of the various substances that produce the results. It has been demonstrated that when aloe is applied topically on the skin, it significantly accelerates the healing process and is complemented by great moisturizing and emollient abilities, resulting in increased elasticity and smoothness. This is an effective astringent and has good antibacterial properties. It has a very positive effect on the elasticity of the skin, and also eliminates toxins. Birch sap has an amazing healing action on problem skin and is often used for psoriasis, acne and eczema. In a study it also showed that the betulinic acid found in birch sap controls the cancerous growth of melanoma and other skin tumor cells. Calendula extract is often used in skin care products, as it has excellent properties and helps with cell rejuvenation, wound healing. It reduces inflammation, soothes and softens the skin. Calendula has a slightly antiseptic and bactericidal effect and also helps with re-mineralization, with the oligoelements contained in the compound. Centella extract is used to increase circulation, but it has also been known for centuries for its great wound healing properties. Centella Asiatica stimulates the fibroblast and collagen in the skin, yet prevents excessive proliferation of fibrous tissue in wound healing. Centella is particularly helpful in healing damaged and injured skin and in maintaining healthy skin tone and elasticity. Chickweed is high in saponins, which have a healing and soothing effect on the skin, and is used with great success on rashes, itchiness, eczema, psoriasis, hemorrhoids, varicose veins, inflammations and other skin complaints. The vulnerary properties of this herb help to prevent tissue degeneration and help to arrest bleeding in wounds. Horsetail is an extraordinary remineralizer of the skin and has haemostatic properties, providing natural silica to the skin. The flavonoids and saponins in horsetail have great cell rejuvenating and regenerating properties and also have a stabilizing effect on the connective tissue, thereby increasing the firmness and elasticity of the skin. Its extraordinary effect on the skin even prompted the Commission E to approve it, as a treatment for wounds. The flavonoids in horsetail are responsible for its unique wound healing and tissue repairing properties. Marshmallow root has very beneficial effects on skin problems and diseases and helps in healing wounds, sores, skin ulcers, burns and in soothing irritation. Marshmallow not only has good anti-inflammatory properties, but also controls bacterial infections and boosts immunity at cellular level. An inhibition and reduction in hyaluronidase leads to better moisture levels in the skin. This inhibitory effect also boosts the dermal structure and improves wound healing processes, while at the same time reducing skin aging and diminishing inflammation. MSM is most useful in the treatment of arthritis and other diseases where joint pain is experienced, as well as for muscular pains and aches. On the skin, it is useful in the treatment of skin disorders such as psoriasis, eczema, and dermatitis. The sulfur contained in the MSM is also used in the skin for collagen synthesis. Olive leaf extract has cicatrizing properties and is therefore useful in wound healing and is also of use when the skin has been burnt or damaged by excessive exposure to sunlight. The presence of flavonoids and oleanolic acid stimulate the components of the connective tissue and regularize the metabolism in the skin – thereby increasing the vitality and health of the skin. The secoiridoid derivatives (oleuropeoside) in olive leaves are responsible for the vaso-dilating and relaxant properties that the extract has on the skin and muscles. Its rubefacient (warming and increased blood flow) properties, make it a good product for sport and muscle preparations as well. Apart from the moisturizing, soothing and softening effect that Rosehip has, it contains polyunsaturated fatty acids (vitamin F), also known as essential fatty acids (EFA). When they are absorbed through the skin, they convert to prostaglandins (PGE), which are involved in cellular membrane and tissue regeneration. From this, rosehip oil brings about skin regeneration, enhancing wound healing and reducing scar formation. It furthermore contains trans-retinoic acid, which is responsible for skin rejuvenation, quicker healing time and repairs skin subjected to excessive sunlight and the resultant photo aging. The linoleic and linolenic acids in rosehip have shown to reduce pigmentation of the skin. When used regularly, rosehip has been shown to reduce fine lines and wrinkles. Soy oil has a regenerative effect on the cutaneous tissues, due to the presence of unsaturated fatty acids, and therefore enhances local circulation in the area treated to bring about revitalization of the dermis. The combined properties of soy bean oil make it a good emollient as well. Not only is it a superb moisturizer, but its intrinsic phytoestrogen content is valuable in promoting good skin care. The protease inhibitor effect that it has can play a role in fighting unwanted changes in the cell, giving it anti-tumor properties. What stands out is the high proportion of phytosterols. These components have been shown to improve certain disorders of the conjunctive tissue and cutaneous injuries, because they cause an increase in the collagen biosynthesis of the fibroblasts and enhance the reduction of the reticular collagen. 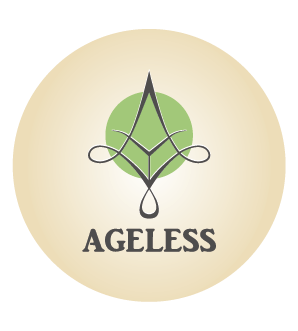 Soy may therefore be used in specific treatments for aged skin thanks to the revitalizing and emollient properties of phytosterols. The main benefits of tea tree oil are that it has superb antiseptic, anti fungal and broad-spectrum anti-microbial activity on the skin, and is therefore a highly prized ingredient to fight a variety of infections and skin problems. The molecular structure of tea tree oil makes it penetrate the skin easily, where it also has an excellent anti-inflammatory effect on any inflammation found in the skin. It is most beneficial in helping wounds heal faster and cleaner. White lily has been traditionally used to treat abscesses, boils, skin ulcers, wounds and burnt skin. Recent studies have shown that the saponins in white lily can inhibit certain skin cancer activation. It is used to treat cuperosis (couperose/cuperose) where the skin is covered with small-dilated blood vessels. Furthermore, it has anti-inflammatory, protective, hydrating, moisturizing and emollient properties, which in turn help with skin elasticity. Cuts, scrapes and abrasions: Make sure the wound is clean and apply Healing Cream over the area. Reapply when dressing the wound, at least twice a day. Burns: Apply liberal amounts of Healing Cream to the burn area and reapply when dressing the burn, at least twice a day. Other problem areas (eczema, psoriasis, acne, hemorrhoids etc. ): Apply the Healing Cream twice a day, or more, whenever necessary. Healing Cream is effective for a variety of skin ailments – acne, psoriasis, hemorrhoids, rashes, allergies and irritations. Healing Cream helps wounds cuts, burns, insect bites etc heal faster and minimizes scarring and scar tissue. Easy to absorb and leaves no residue or tackiness. Proven over 14 years to be an effective healing cream. Contains herbs and botanical extracts and no harsh chemicals.